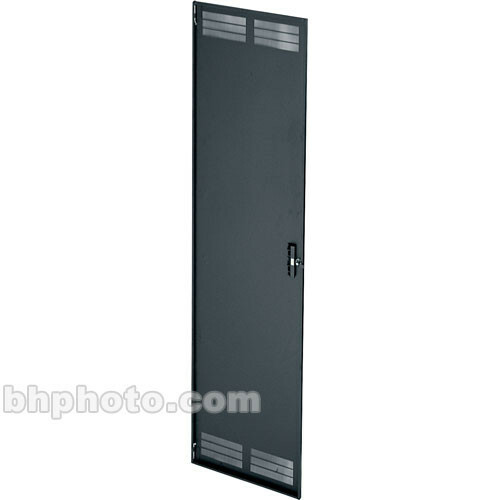 The Middle Atlantic Universal Vented Rear Door for ERK Series ERK-VRD-35 is an add-on door for the ERK Series of enclosures. This model features two rows of slot-pattern vents at the top and bottom of the door to promote air flow and help keep equipment cool. Substitute a vented, rear door for the solid, rear door of an ERK cabinet by choosing an ERK enclosure with the LRD suffix (less rear door). This model is designed for use with a 35U ERK enclosure. Protect your equipment from dust and other foreign debris by adding a door to your ERK Series enclosure. Vents in door promote air flow and keep equipment cool. Box Dimensions (LxWxH) 64.0 x 24.0 x 5.0"